The IC Play begins in June and runs through September. The IC Play is held alternating weekly between GVR and QC, so you would only need to help out every other week (or less if more organizers for your level). You do get to play in the RR. As many of you head out from Quail Creek you may be looking for places to play pickleball. 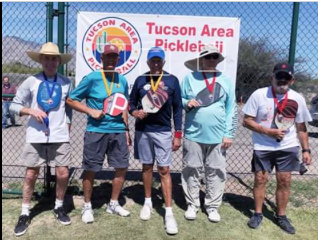 The USAPA website (USAPA.org) is a great resource to find out where you can play pickleball. Our 1,600+ ambassadors and more than 21,000 members continually update the Official USAPA Places 2 Play website with the latest information about courts in their area. 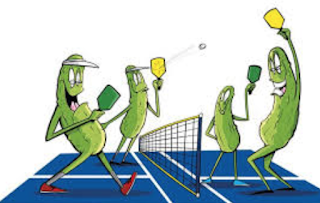 As of 2017, we currently track nearly 6,000 known pickleball locations with an average of approximately 90 new locations added each month. There is even an app for your phone. That pickleball can sure do interesting things. It can go over the net, under the net, go over and back to your side. 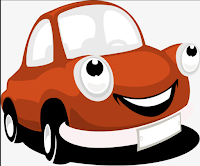 Watch this youtube by Mark Renneson at our courts! He demonstrates how to handle that situation. TOM DEAN AND LENNY FRIEDMAN TAKE THE GOLD!